Which is the best seat on a plane? Let’s be honest; it’s a business or first class seat. Flying in the economy, especially on the long haul flight, is a very different experience. There are only more people traveling and days, when you could get on the half-empty plane, are not as common anymore. On top of it, there is a general sense between the airlines that people are willing to go through some discomfort for the lower price, which is probably right. That’s life, and we can’t do anything about it. However, with a little bit of knowledge and experience, we can make our travel in the economy class somewhat more pleasant. 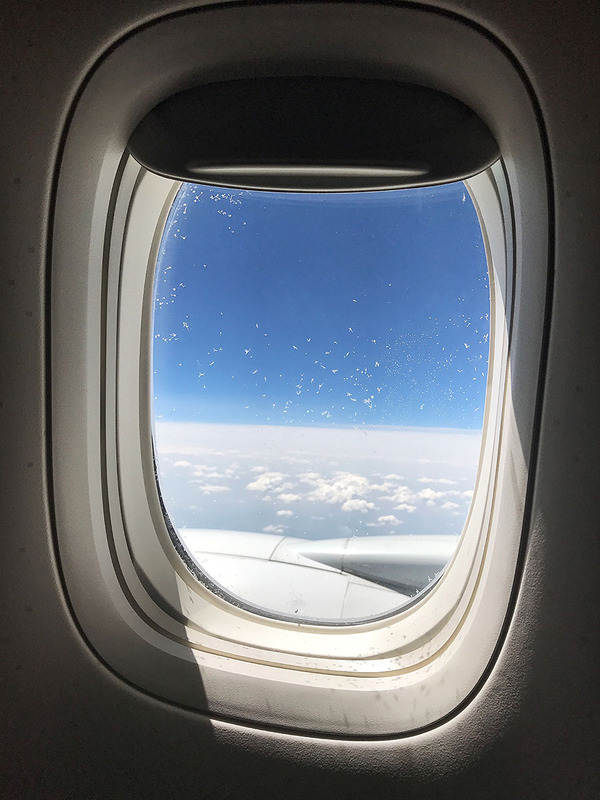 You can also read the article about how to survive the long haul flight in the economy which gives you some other tips on making flying survivable. People usually recommend checking the www.seatguru.com. I agree with that but mostly to check where NOT to sit. It has been a long time since I was able to choose a preferred seat on the airplane. 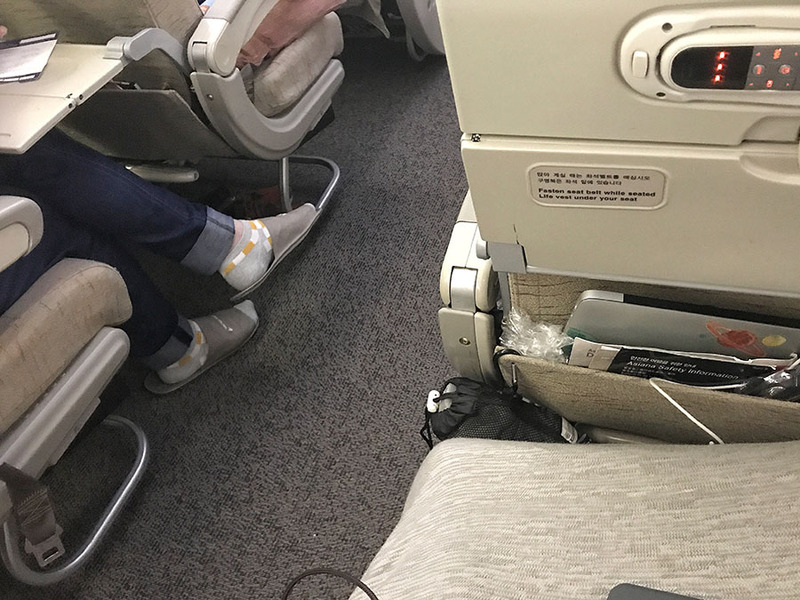 On some popular routes, unless you plan a year ahead, the plane is already half full when you are booking your flight, and all the best seats are gone. It doesn’t mean that it can’t happen to you, but the probability is quite low. However, if you won’t be able to get the best seat, you still can have the option not to choose the worse seat! Which are the worst seats? The seats where people regularly bump into your chair, stand around waiting for the toilet or seats that can’t recline. Let us have a look at this 777-300ER economy class seating layout. Let’s have a look at the seat 60H. It happened that I had to sit for a few hours in this seat on my flight from Singapore once. Because there is no seat behind it, people tend to bump into the seat regularly when walking from the toilet. Sleeping in the small economy seat is already very difficult, but this made it almost impossible. 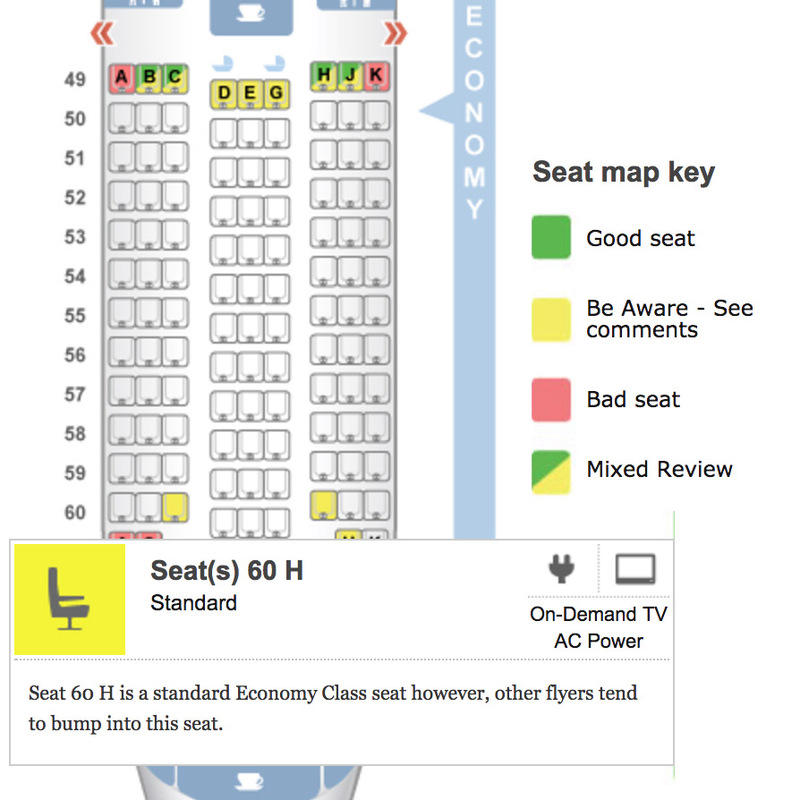 It is straightforward to find your flight on Seatguru.com, check for yellow and red seats on the airplane plan. Listen to the fellow travelers and avoid booking those seats. Which seat should you book then? My strategy of choosing seat differs for short and long flights. Short flights and flights with low-cost carriers (LCCs) have a different approach. On the flight below three hours, it doesn’t really matter how comfy the seat is. Before you start feeling bored or tired, you will be leaving the plane already. The seat as close to the front or back door allows you to get off the aircraft after landing faster. The front is safer because not every airline uses the back door. (Mostly low-cost airlines do because they don’t use jet-bridges). An aisle seat will speed up getting off even more. That’s it. Nothing else really matters for the short flight. The long-haul flight is a little bit more complicated. If the plane has the 3–3–3 or 3–4–3 seating setup choose the aisle seat in the middle row. The person in the middle can escape from both sides which can reduce the stand-up time for you. I don’t know about that ‘seat over the wings is less bumpy.’ In my experience, the difference (if there is any) is minimal/not worth it. Instead get the seat closer to the front to get faster off the plane. I always choose my aisle seat in a way that the middle seat next to me is empty. It gives you very small but some chance that it will stay empty. The plane is being automatically filled from the front to back, so the probability is higher at the end of the economy section. I am getting around 20% success rate with this strategy. The odds are going up if you fly outside of the busy season. You don’t need to be a frequent flyer who flies three times per week to sign up for airline membership. 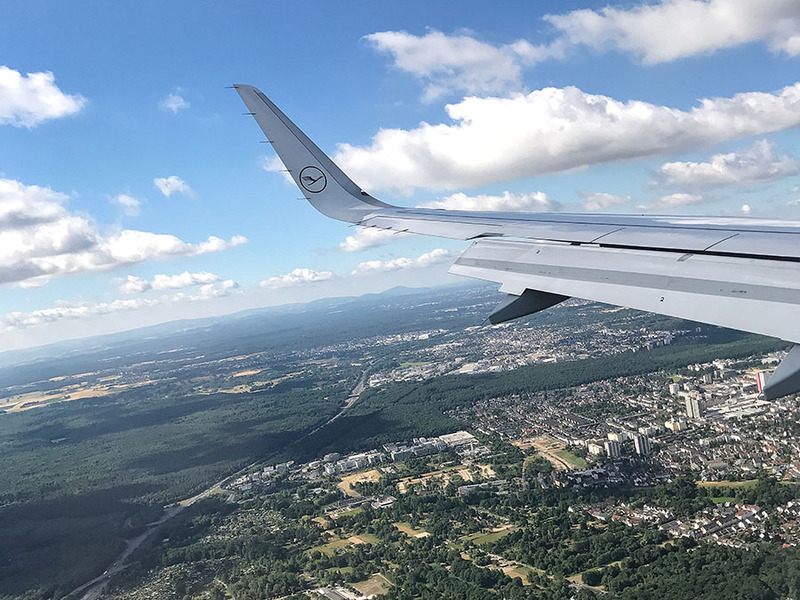 Always try to fly with the same airline, or airlines which are in the same alliance – Star Alliance, One World, etc., or get the airline branded credit card and eventually you can get some status. There is a pattern to how an airline chooses if they upgrade you. Status travelers are being upgraded first (the higher status, the better chances). Then the economy class ticket level. If you paid full price your chances are higher than if you paid the discount/promo price. Since I’ve got Asiana Airline Diamond status which comes with Star Alliance Gold, I became upgraded to the better seat or business class more often. Your flight experience in the economy will be affected by the seat position only minimally. On 11+ hours flight, there are other essential things to consider to make your trip enjoyable. Have a look at more tips here. BUT! As I mentioned earlier, there are some seats which can make your flight really miserable. You better avoid those.